The ice rink will be closed for maintenance from Thurs 30th May to Sat 8th June, therefore there is no training on Mon 3rd June or Wed 5th June. Report time 16:00, start time 17:00, finish 20:00. Spectators welcome. See this spectacular sport performed at your local club by some of Britiain's best short track skaters. Including British Championships medalists: Masters silver, Junior Boys gold and bronze, Juvenile Boys gold and silver, Juvenile Girls silver, PeeWee Girls gold, PeeWee2 Boys gold and Relay silver and bronze. Club Championships Mon 8th, Wed 10th April & Mon 15th April at normal training times. Would holders of trophies please return them before this date. Extra training ice Sun17th March, 6am to 8.15am. Please contact Carol to attend this extra session. There is NO on ice training on Wed 20th Feb 2019 due to hockey matches. There is off-ice training booked from 7pm to 8pm. The cost for these sessions is £3 paid to Carol. Do not pay at reception. And another extra ice session on Sunday 17th March from 6am to 8.15am. Congratulations to Peter Riches, Olivia Weedon and Tanith Turner along with five other British athletes for qualifying and being selected for the ISU World Junior Short Track Championships 2019 - Montreal (CAN) from 25th to 27th January 2019. Solomon PREMPEH, Men Junior B, set a PB in the 500 meter at 44.455 sec. The winter festival is being held in Sarajevo from 11 - 15th Feb. Congratulations to Olivia WEEDON, Theo COLLINS and Ollie ROWE for qualifying and being selected for the short track competition at this festival. Saturday 2nd February 2019 was the third Aldwych competition of the season. Including Masters under 50's gold and bronze medalists, Juvenile Girls silver medalist, Juvenile Boys gold medalist, Junior Girls silver medalist, and Junior Boys silver and bronze medalist. Saturday 24th November was the second Aldwych competition of the season. The club was founded 110 years ago this year and has been competing on ice for 90 years. 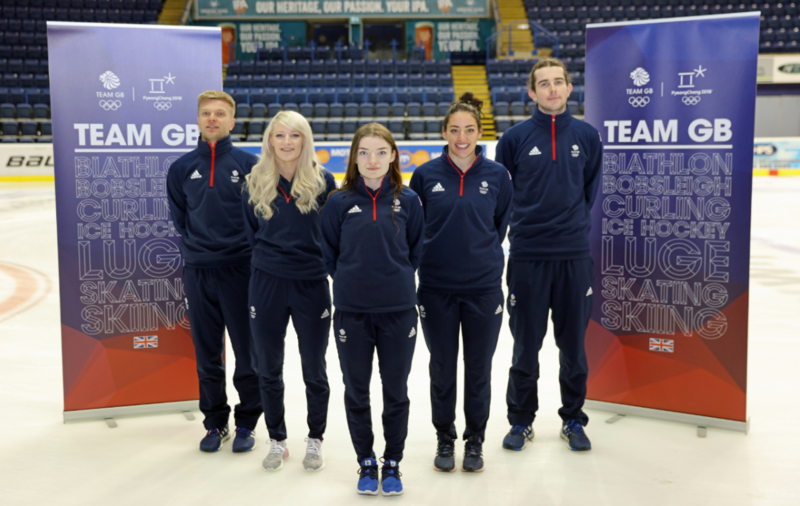 Several Aldwych skaters have represented Great Britain at the Winter Olympics in Short Track Speed Skating which became part of the Olympic programme at Albertville in 1992. Nicky Gooch 1992, '94, '98 and 2002. Matthew Rowe 1998. And in 2002 David Aladice, Sarah Lindsay, Joanna Williams, Leon Flack. 2006 Sarah Lindsay, Joanna Williams. 2010 Sarah Lindsay. Saturday 13th October was the first Aldwych competition of the season. An Aldwych skater, Leonard Stewart, represented Great Britain at the Winter Olympics in 1928, held at St. Moritz in Switzerland as part of a three man speed skating team. NISA have postponed the AGM and moved it to 24th November. Basically due to lack of Nominations for the vacant and new positions. Everyone will have to vote again when the new papers are sent out. The NISA Annual General Meeting (AGM) is the yearly opportunity for full NISA members and affiliates to have their say on the sport, and how their National Governing Body is run. This year the AGM will be taking place on Saturday 1st September 2018 at the Jury's Inn, Nottingham. As a result of the Articles of Association being voted through at the 2017 EGM, there are subsequently a number of Board and Technical Advisory Committee (TAC) roles to be filled. Session starts at 6.45pm instead of 7.15pm. Tha last competition of the year is at Bradford on Saturday 12th May. Bradford is a club reborn only 18 months ago. Come and have some fun at this friendly club and support their efforts. All club members are encouraged to participate. Come and see this spectacular sport performed at your local club by some of Britiain's best short track skaters. Including Masters under 50's gold and bronze medalists, Juvenile Girls silver medalist, Juvenile Boys gold medalist, Junior Girls silver medalist, and Junior Boys silver and bronze medalist. Start time 1700. The British Short Track Championship was held on 31st March and 1st April at Nottingham ice rink. No less than 20 Aldwych skaters entered this competition. Find results on the results page. As there was no ice on 21st March there was off-ice training. Meet at 6.30pm for warm up then 7pm to 8pm in Arena for off-ice training. Both the BBC and Eurosport are covering the Games, so please check for exact timings. Most of the action will start from 10am GMT. As there was no ice on 14th Feb and 14th March there was off-ice training. The European masters event for March 24th 2018 at Sheffield has been cancelled for now. The event has been put back to the 2018/19 season. The Ice at Ice Sheffield is still booked for 24th March and will be used for a domestic competition. From Monday 16th October 2017 our Monday training will have an extra 15 minutes. Monday NOW 19.15 to 20.30. Wednesday training times are still 19.15 to 20.15. Both days: off ice warm up at 1830. Pads on 1910.